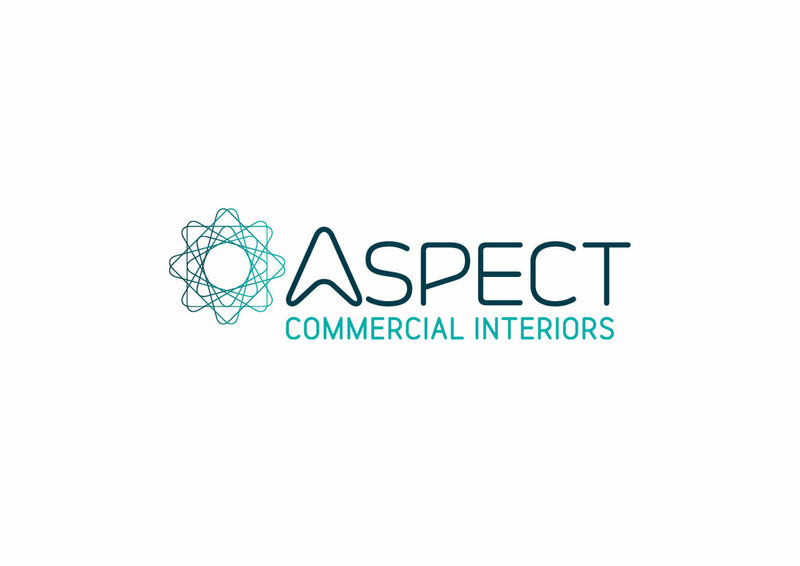 Aspect Commercial Interiors (Aspect) has designed and fitted out workspaces since 1981. When it was time for a logo update, Aspect turned to Tout Creative. We developed their new brand including logo design and applied it across a range of marketing material. As a design-based business, Aspect needed to update their logo to reflect their industry and style. The initial brief was to refresh their existing logo but maintain elements of their identity such as the red-maroon colour. Aspect’s profile has been lifted with on-point branding that demonstrates their value and relevance to today's commercial interior design market. Further strategic discussions revealed the need for a complete brand refresh to create a modern, innovative image. The teal colour suite was more in line with their brand objectives. The company is usually referred to as ‘Aspect’ rather than 'Aspect Commercial Interiors', so this was considered for the composition of the logo design. The symbol is made up of rotating triangles. The triangle is a subtle reference to the letter A for ‘Aspect’. The rotating triangles create different spaces to resonate with commercial interiors. A modern, clean font with soft curves was selected for a contemporary yet approachable feel. Bright teal was chosen to express innovation, ideas and creativity. To balance, a dark teal was used in place of the typical grey or black. The new logo and branding was applied across a range of marketing collateral including business cards, brochures and templates.